Editors Jon Tribble and Allison Joseph have been engaged in the hard work of archiving numerous issues of Crab Orchard Review. Below you’ll find a pdf of their Color Wheel: Cultural Heritages in the 21st Century issue, which features my story, “Everything Gets Mixed Together at the Pueblo.” Check out COR here. On Wednesday, April 25th at 7:30pm, Manhattanville College will have its Student/Faculty Reading in the Library Periodical Room. I’ll be reading new work along with my fellow professors. The real pleasure though is hearing our students read, especially the winners of the 2012 Writing Awards, including the Eileen O’Gorman Prize for Fiction, the Robert O’Clair Prize for Poetry, along with awards for screenwriting, film, and literary criticism. We’ll also celebrate the release of Graffiti magazine. Next month on the 19th, I’m thrilled to be returning to Oregon to be a part of Newport’s Writers on the Edge Series. I’ll be reading, signing books, and enjoying their famous open mic! Can’t wait! Read more about Writers on the Edge here. Congrats to the U.K.’s new travel magazine, The Escapist Traveller! They’ve just launched, and I’m excited to have a short travel piece included in their debut issue here. Twenty-seven years older than we were for Ethiopia and we still watch, hands against our bellies, unable to understand what we are watching. Okuma is abandoned, Namie abandoned, but their street lights cycle. Grass is only beginning to push through the asphalt. The dinner bowls grow mildew, and a pig sups rotted fruit and candy bars until it falls asleep, head against a dead woman’s basket of groceries. A cat crouches inside a dryer, bony shoulders pricking through her skin. 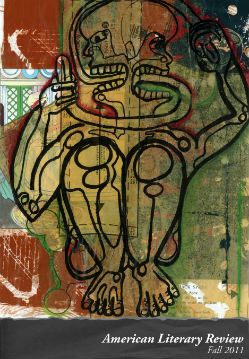 The Haruspex says: The human brain has a limited capacity for sustained tragedy. We cut photographs out of magazines and put them in envelopes, time capsules our children might be better able to deal with in 2050. Fukushima, a fistful of dog fur. A duckboard of words across dark water. Honored to have a new story, “Sawtooth,” in the current issue of American Literary Review, along with great work by Christine Sneed, Karl Taro Greenfeld, and many others. Marshal Zeringue was kind enough to ask me if I’d like to submit Bone Worship to Marshall McLuhan’s infamous Page 69 Test. McLuhan’s idea was that if you don’t know whether or not you want to commit to reading a book, you should turn to page 69 and see if it speaks to you. Click here to see how Bone Worship fared. 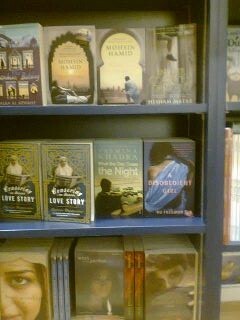 This picture was taken at the bookstore Kinokuniya in Dubai by a friend of author Ru Freeman. Ru’s book A Disobedient Girl appears in the center right of the photograph, as does Bone Worship in the bottom left. And here my mind was blown was someone wrote to tell me they bought a copy in Australia. Cynthia Hawkins’s wonderful film anthology Writing Off Script is now available on Amazon! Please buy a copy and help the kids of Joplin. Included in the anthology is my essay “All the Moon Men We Have Loved.” You can read an excerpt of it here. Writing Off Script has a shiny new book trailer! WRITING OFF SCRIPT Trailer from Morris Hill Pictures on Vimeo.